In a pan, heat oil and splutter mustard seeds. Add onion and garlic and stir till soft. Add the bhaji, salt, turmeric and chilli powder and stir fry on high flame. Do not cover. Cook till the leaves and stems are just softened. 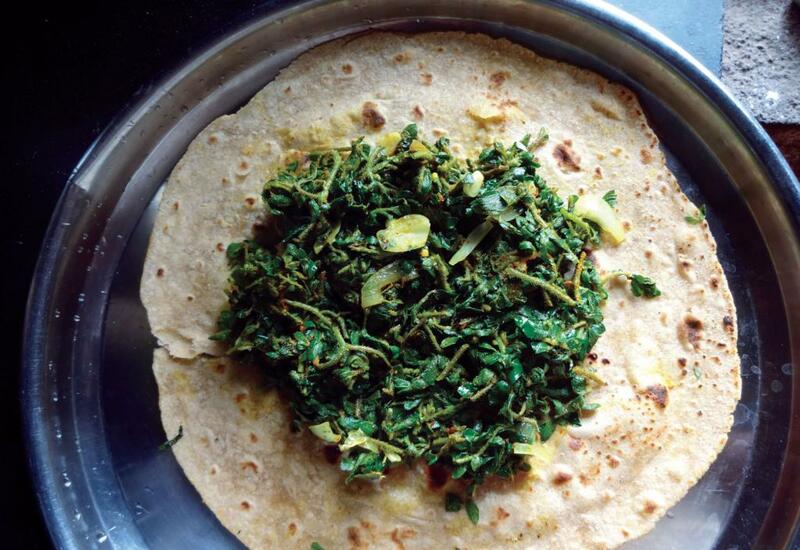 Serve with jowar or wheat chapattis.